The cannabis industry has taken hold of many parts of the United States, including here in Portland. Marijuana is now legal in 33 states for medical use and 10 states for recreational use. If used irresponsibly, it can carry risks, especially when users get behind the wheel. This problem is more common than you might think — at any given moment, you could be sharing the road with someone who is under the influence of marijuana. Researchers from the University of Michigan Addiction Center conducted a survey of Michigan adults seeking to obtain medical marijuana certification or recertification in 2014 and 2015. 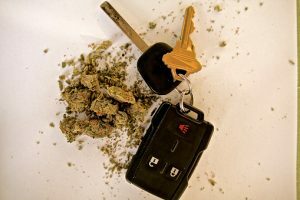 The study found that about one in five medical marijuana patients reported driving under the influence of cannabis within the past six months. According to The Verge, studies surrounding traffic accident trends in states that have legalized marijuana for recreational use have shown an increase in fatalities by one additional death per one million people. Additionally, neighboring states that haven’t legalized recreational cannabis have experienced an increase in traffic fatalities within the first six months of legalization. The fatality rate dropped back down to usual levels after the first year. As research suggests, a temporary spike in road deaths after marijuana legalization may be due to new users being inexperienced with using cannabis. Many users may simply underestimate the potency of cannabis products before getting behind the wheel. Until further research is done, there is currently not enough available data suggesting that marijuana legalization has a profound impact on car accidents. There is also no current method available to determine if someone is driving under the influence of cannabis. After an accident occurs, police may be able to determine intoxication by administering a blood test. What we do know is the THC found in cannabis can impact drivers’ motor functions, judgment, reaction time, concept of distance and time, and may even cause drowsiness. If you or a loved one was injured in a crash with an impaired driver, contact Zbinden & Curtis, Attorneys At Law to discuss the legal options available to you. It may not snow as much in Portland as in Chicago or New York City, but drivers must still be prepared when it does. This is especially true for people living in or visiting the mountainous regions of Oregon, where it snows much more often. 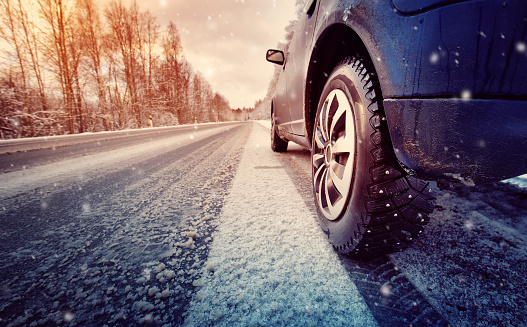 Snow and ice reduce a vehicle’s traction and maneuverability, causing slower speeds, reduced roadway capacity, and an increased chance of being involved in a crash. Winter weather can slow down traffic by over 30 percent and severely limit visibility. It is common for vehicles, especially smaller cars, to skid and fishtail. Lanes can be obstructed by snowbanks and debris, which can be even more dangerous if drivers can’t see them from a distance. After a storm, melting snow can become slush and refreeze, creating more ice. Vehicle crashes in these conditions account for nearly 900 deaths and nearly 76,000 injuries annually. If your vehicle breaks down or is disabled in any other way, do not abandon it. If you have flares, light them in front and behind the car and make sure the exhaust pipe is not blocked by snow, mud or any other object. Along with flares, consider bringing a shovel, high energy foods, a first aid kit, and other supplies to help you if you get stuck in an unfamiliar place. When driving in the snow, be cautious. That means not using cruise control, slowly changing speeds, and giving more distance between yourself and the vehicle in front of you. Anti-lock brakes and traction control can help you keep control of your vehicle. Both technologies are standard in most new vehicles. Even if you take every precaution to reduce your risk of an accident when driving in winter weather, other drivers may be inexperienced or careless. 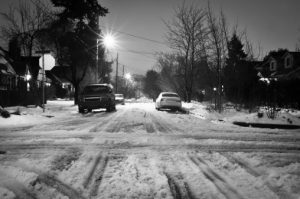 If you are injured in a car accident due to snow or ice, you may be entitled to compensation, but such compensation is not always guaranteed. It is important to take strong legal action and contact an experienced automobile accident law firm. That way, you can make sure your rights are properly protected. Call or email a car accident attorney today at Zbinden & Curtis for your free and confidential consultation. Even if you’re practicing safe driving habits, other drivers may be driving under the influence of one or more of these hazards. Distracted driving is commonly the result of a driver using their phone to text or make calls while driving. During the holidays, drivers might be more tempted to do so when coordinating plans with their friends and family. They may also be browsing the web to check store hours or inventory when shopping for gifts. Late-night celebrations are well-established traditions during the holidays. In many cases, they involve alcohol and drug use. The dangers of impaired driving are compounded during poor weather in December, increasing the likelihood of impaired drivers causing an accident. “An increase in the number of impaired drivers using the roadways during the winter holidays has been well-established by law enforcement, and the loss of life resulting from impaired driving is also well-established,” says Horn. “The winter holidays typically bring with them increased pressures, especially financial pressures and the stress created by trying to do too much in a short time span. 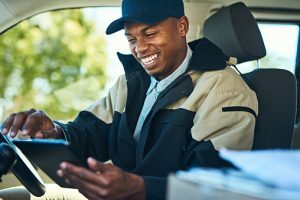 Drivers often react to these pressures by driving too fast for conditions, making aggressive lane changes, failing to yield right-of-way, and generally disregarding the needs and safety of others using the road,” according to Horn. The holiday season is incredibly stressful. People are working more hours to afford gifts, fitting shopping into tight schedules, and spending long nights attending social events. Even losing only an hour of sleep can have a dramatic effect on driving safety. A study by the AAA Foundation for Traffic Safety found that people who slept six to seven hours a night were twice as likely to be involved in a crash compared to those sleeping eight hours or more. Sleeping less than five hours increases that risk by four to five times. Injured in a crash? Take action! If you were injured in an Oregon car accident, you may be entitled to compensation. But you often won’t automatically receive such compensation. It’s important to take strong legal action and contact an experienced automobile accident law firm. That way, you can make sure your rights are properly protected. Call or email a car accident attorney today at Zbinden & Curtis for your free and confidential consultation. During the busiest times of day, Portland’s streets can become crowded with motorists, pedestrians, and bicyclists. When Oregon drivers fail to obey the posted speed limits, it only takes one wrong move to put someone’s life in jeopardy. According to a National Highway Traffic Safety Administration (NHTSA) report, there were approximately 10,111 road deaths caused by speeding in 2016 (the most recent statistics), which made up 27 percent of all traffic fatalities that year. With greater speed, drivers can lose control of their vehicles. It can take more time and distance to come to a complete stop. The severity of a crash can increase with speed. 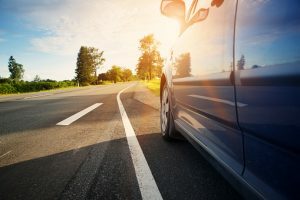 In response to the dangers posed by speeding on city streets, the Insurance Institute for Highway Safety (IIHS) is urging cities across the U.S. to reduce their speed limits. 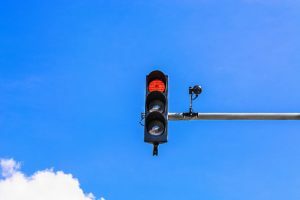 On April 1st of this year, Portland reduced its speed limits from 25 mph to 20 mph in most of its residential neighborhoods – covering roughly 70 percent of the city’s street mileage. Shortly after, the City Council voted to lower the speed limit from 35 mph to 30 mph on Southeast Stark Street. The ordinance took effect immediately. Portland has been taking further measures to reduce speeding, particularly on the two-mile stretch between North 33rd Drive and Insterstate 5. The speed limit was reduced from 40 mph to 35 mph and speed cameras were installed. Additionally, speed cameras have been placed on some of Portland’s most dangerous streets. While they have prevented accidents involving speeding, many drivers still continue to drive over the posted speed limit. Furthermore, citations are only issued to drivers who exceed the speed limit by 11 miles per hour. 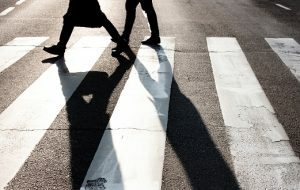 Other cities, including Seattle, and New York City, have lowered their speed limits as part of Vision Zero’s effort to eliminate traffic deaths. As a result, they have seen a significant reduction in fatal accidents. While lowering the speed limit in Portland may help reduce speed-related accidents, some drivers may still continue to drive recklessly. 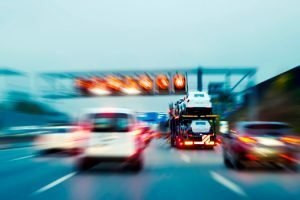 If you’ve been injured in a crash caused by a speeding driver in Portland, you should take your claim seriously from the start. If you’re able to do so, it’s crucial to take photos of the crash scene and speak to witnesses. The amount of damage done to your vehicle and the distance of tire tracks (if the other driver applied his or her brakes) can often give clues as to how fast the other driver was traveling at the time of a crash. You should also seek immediate medical attention, even if you feel ok. Injury symptoms can often take days to appear. Don’t worry about dealing with the other driver’s insurance company. An experienced Portland auto accident attorney can take care of that so you can focus on recovery. Contact Zbinden & Curtis, Attorneys At Law today for a free case evaluation. We handle cases throughout Oregon. It made probably every newscast in the country. A self-driving Uber car struck and killed a pedestrian in Tempe, Arizona in March. The backup driver, Rafaela Vasquez, looked down inside the vehicle more than 200 times in the 22 minutes before the accident, according to police. Her smart phone was streaming NBC’s “The Voice’’ in the minutes before the deadly collision that killed 49-year-old Elaine Herzberg, who was walking her bike across the street. 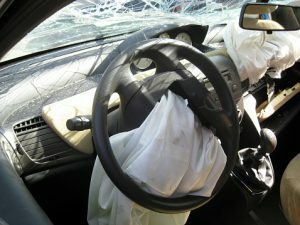 This particular case has drawn attention due to its unique circumstances – but the larger problem of distracted driving affects thousands of people every year. Based on preliminary information, the car was going approximately 43 mph in a 35 mph zone, according to Tempe police. And their reports also made it clear that the operator was not paying attention to the road. According to the police, Vasquez “appears to react and show a smirk or laugh at various points during the time she is looking down.’’ Her eyes were repeatedly trained on the “lower center console near her right knee.’’ However, video recordings don’t show what she’s doing with her hands. Tempe police subpoenaed viewing records from the streaming service Hulu that covered Vasquez’s silver LG Smartphone. “The user played one episode of the Voice on March 18, 2018 between 21:16:45 and approximately 21:59:00,” the company responded. Herzberg was struck at about 9:58 p.m. Vasquez, who was supposed to provide a second layer of safety, did not begin braking until after Herzberg was hit. Uber’s self-driving system initially misidentified the victim as a vehicle, according to the National Transportation Safety Board (NTSB). The ride-hailing company’s specially outfitted Volvo was deliberately being tested on public roads without its emergency braking system turned on, the NTSB said. According to Uber, emergency braking maneuvers are not enabled while the vehicle is under computer control, to reduce the potential for erratic vehicle behavior. And the distracted operator did not manually engage the brakes. While the particular circumstances of the fatal self-driving Uber accident are obviously unique, the more general importance of keeping one’s eyes on the road cannot be overstated. Too often, vulnerable road users such as cyclists and pedestrians are the victims of distracted driving crashes. Taking your eyes off the road for a single second can lead to permanent injury or loss of life. If you need a personal injury attorney in Oregon, look no further than Zbinden & Curtis, Attorneys at Law.